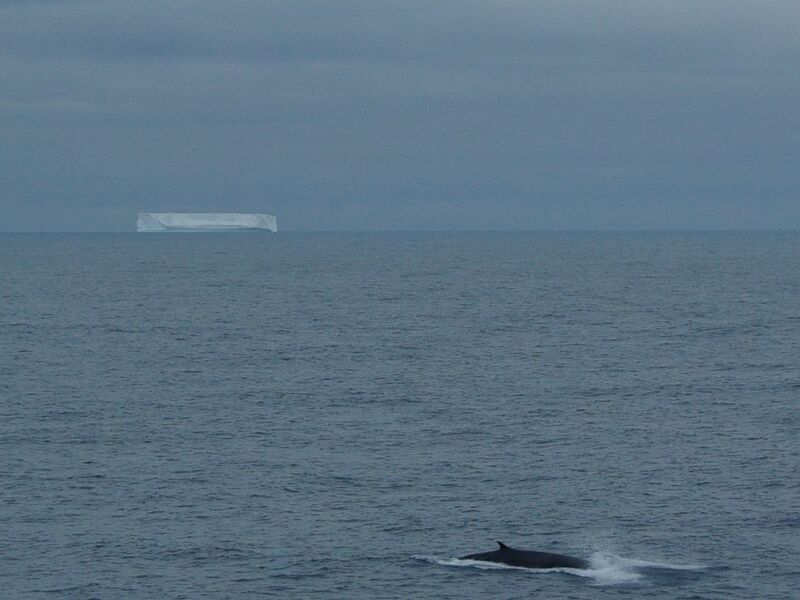 A fin whale surfaces at 58°S in the southern Indian Ocean in a photo captured in January 2010 from the R/V Marion Dufresne, the research vessel that collected hydrophone data for the new study. Whale song pitch, ambient underwater noise and icebergs: the blue line traces seasonal changes in the pitch, or audio frequency, of blue whale calls. 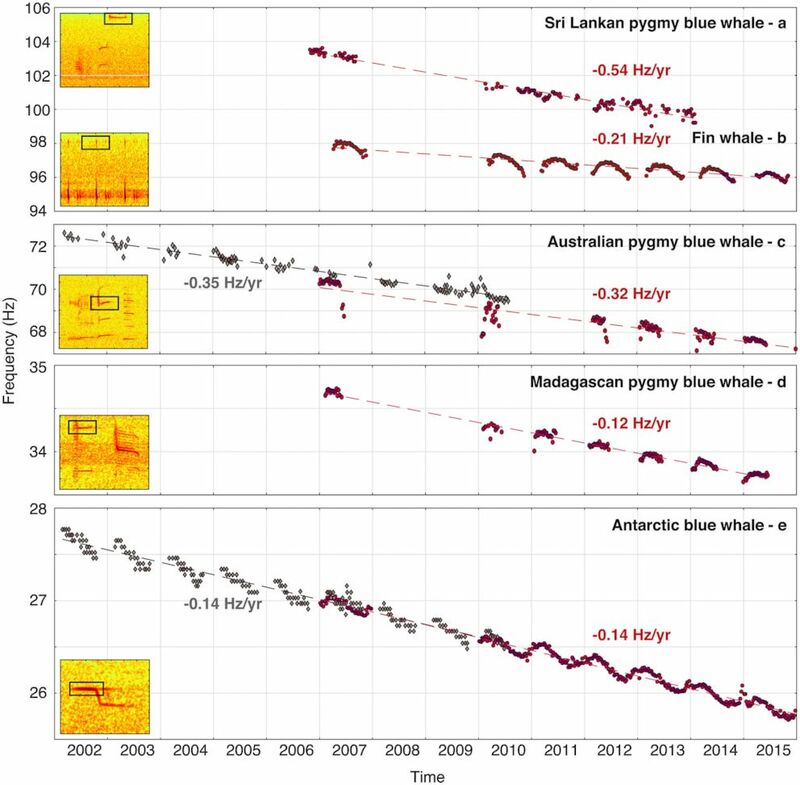 Fin and blue whale call frequencies have declined in the southern Indian Ocean during the period of monitoring, from 2002 to 2015.